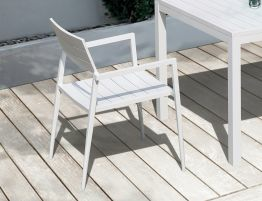 The Halki is a minimalist chair that is also versatile and sturdy, and well-suited for both indoor and outdoor settings. 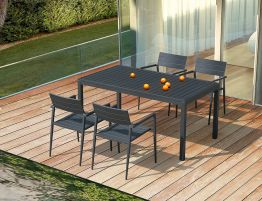 It is lightweight, stackable, and can be used both indoor and outdoor. 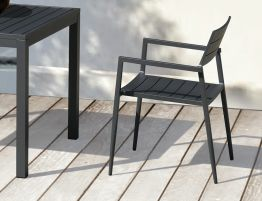 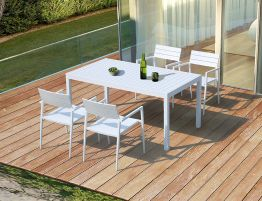 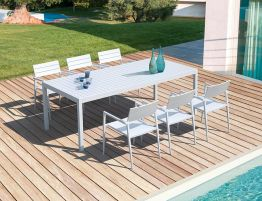 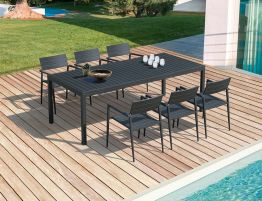 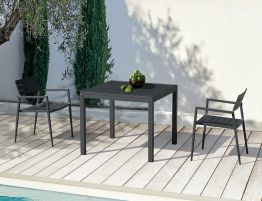 The designer opted purposefully for aluminium: robust, lightweight and ideal for outdoor use.